If you could remember on the 7th of March 2018 some set of people who claimed to be member of National Association of Kwara State Students in Abuja staged a protest over what they claimed to be the prolonged trial of the President of the Senate Dr Bukola Saraki at the Code of Conduct Tribunal. 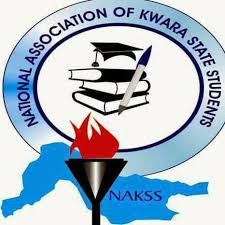 "The attention of the leadership of National Association of Kwara State Students, National Headquarters (NAKSS, NHQs) has been drawn to a protest said to be embarked on by the Union, in support of His excellency, the Senate President of the Federal Republic of Nigeria, Dr Bukola Saraki over his continue trails at the Code of Conduct Tribunal (CCT). It is a well noted fact that the Senate President, Dr. Bukola Saraki is one of the most influencial Kwaran today whose exemplary leadership at the senate deserves to be commended in all ramifications. His stand in full separation of power and strength, the institution is the needed content to strengthen Nigerian Democracy. However, it must be noted that one of the National Association of Kwara State Students', National Headquarters (NAKSS, NHQs) interest and Constitution duty is to defend the rights and interest(s) of all indigenous students of Kwara State schooling both home and diaspora. It is out of our duty to support or against any politician in the cause of our struggle. Ours is to appreciate whoever has done one thing or the other in the favour of our members across the country. Meanwhile, we need to state it categorically that the generality of Kwara State students are not carried along, even the Senate President did not inform the Senate Council in execution of such action because even the inaugural sitting is yet to hold. It is totally outrageous and ridiculous that the movement of Kwara State Students will not have up to fifteen (15) people. More so, we are not informed on the motives of the Senate President of NAKSS who deemed it fit to show solidarity to Dr. Bukola Saraki in his own name (while tagging the generality of kwara state students). We are very sad that different news outlets tagged his decision (done on his own name) as that of the union and Kwara state students in general, even when it is not coming from the Secretariat of National Headquarters (Executive) that only has the right to release official statement on behalf of the Union. Therefore it is necessary to call the notice of the general public to the fact that the solidarity protest held yesterday at Abuja was that of the Senate President in his own personal name and interest, and not that of the National Association of Kwara State Students. We hereby use this medium to reinstate our commitment towards the welfarism of all Kwara State Students schooling both home and in diaspora. National Executive President, NAKSS, NHQs.